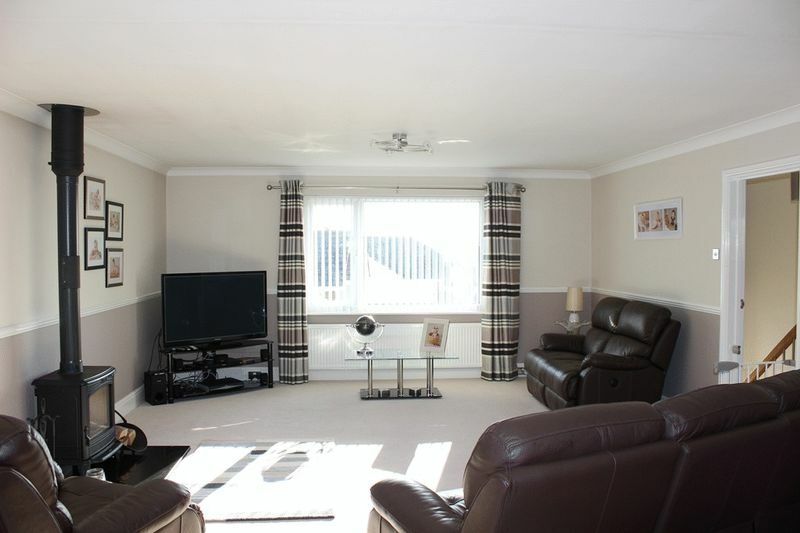 A well presented, spacious and individual four bedroom detached property, with generous and well proportioned accommodation in reversed fashion enjoying excellent natural light and surrounding views. 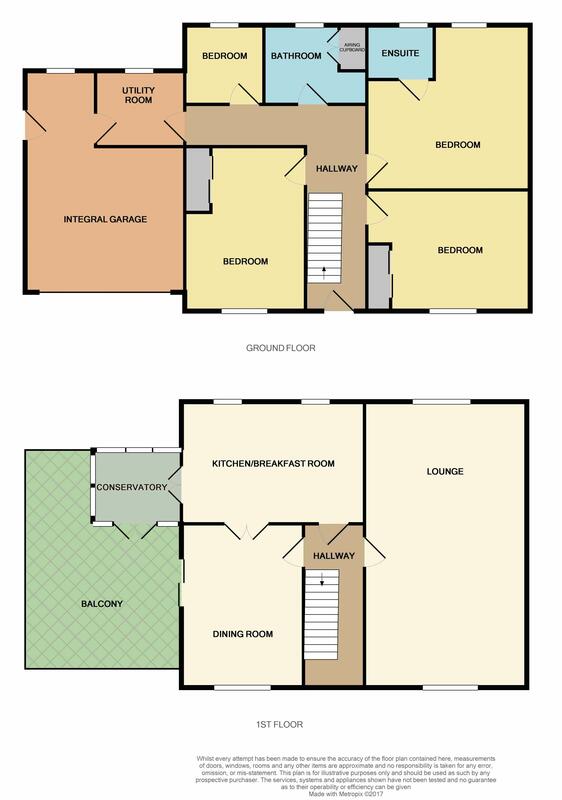 This could be adapted for a variety of accommodation needs, perhaps for the larger family, dual family or those seeking to create an annexe perhaps to house an elderly/dependent relative. 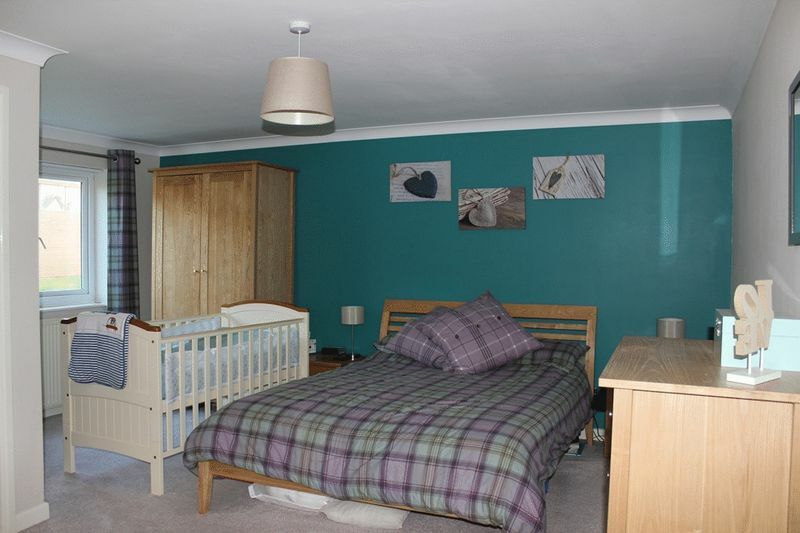 To the first floor 28ft living room incorporating a wood burner, large fitted kitchen/breakfast room, separate dining room, conservatory and balcony. 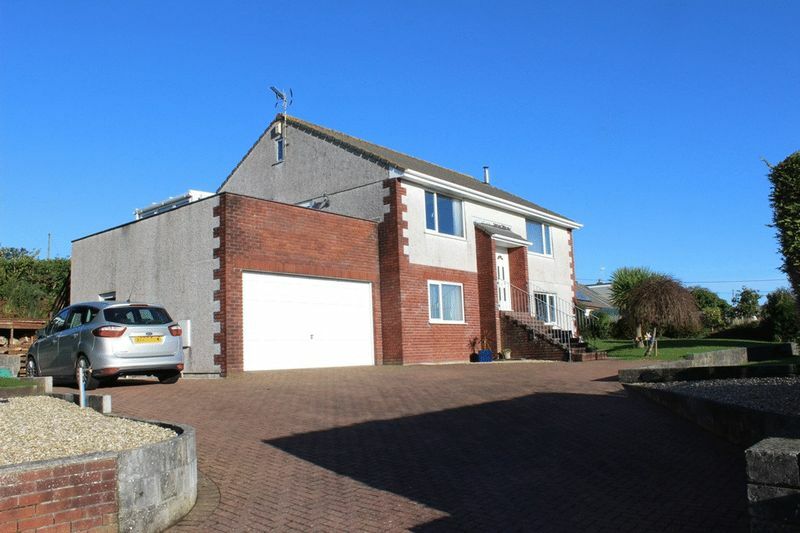 Four bedrooms, including ensuite, house bathroom and utility to ground floor, along with the integral double garage workshop. 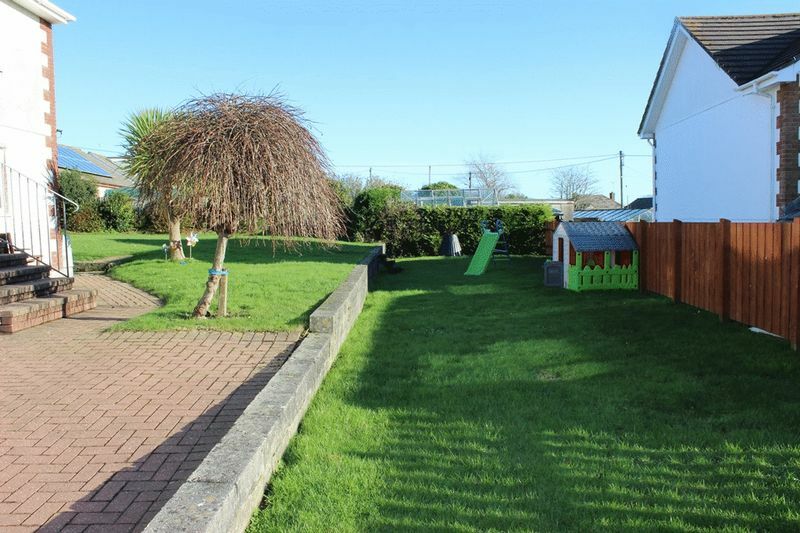 Outside, generous lawned gardens surround with impressive sweeping brick paved driveway, hard standing providing facilities for several vehicles and potential boat/caravan storage. 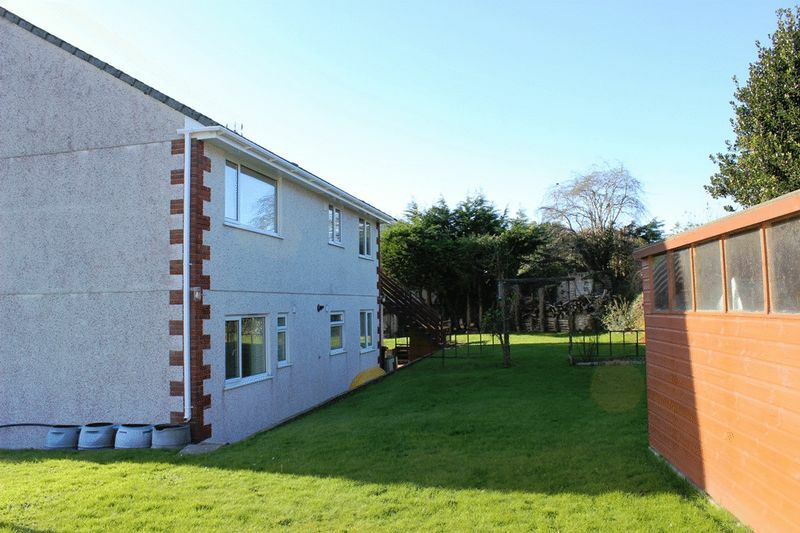 Sharaman Close is a small, highly regarded cul-de-sac within the Boscoppa area of St Austell, conveniently placed for the family being within walking distance of schools, college and a good range of amenities and being little over one mile from St Austell's main town centre. 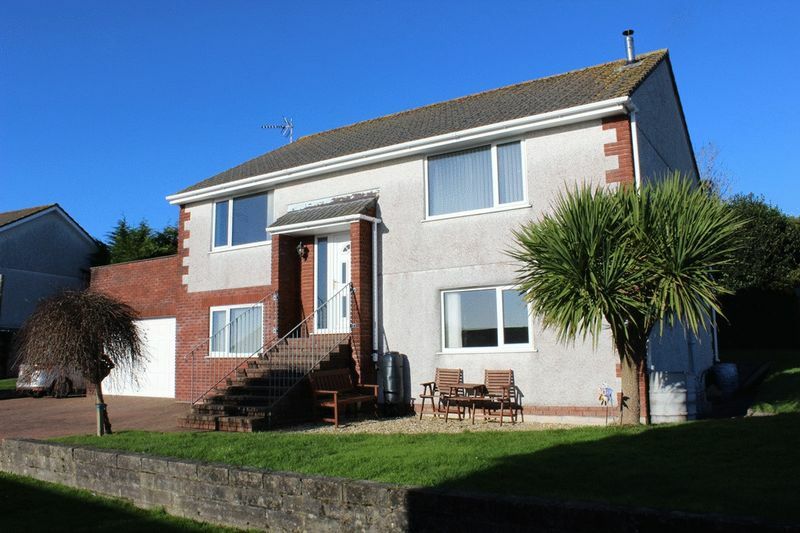 Combining this property's excellent and versatile accommodation, location and setting, it is anticipated to appeal to a good number of people and early appointments to appraise in detail are most strongly advised. 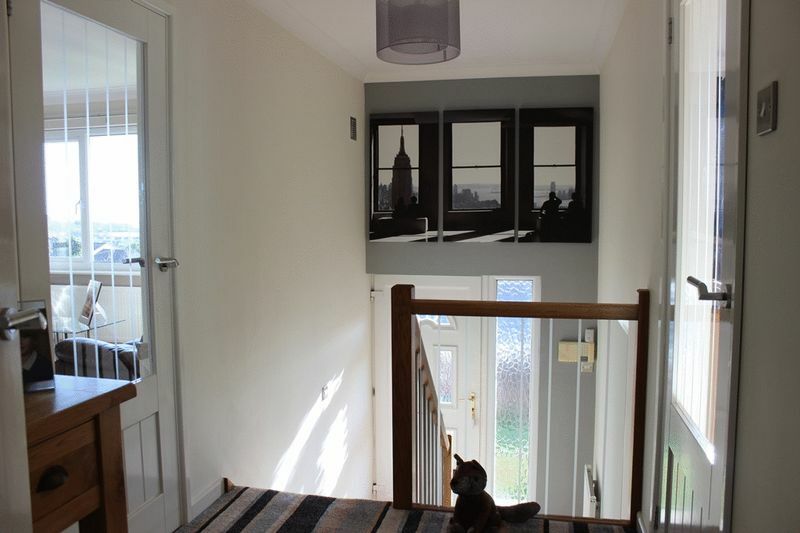 via wide flight of steps with handrail balustrade, courtesy light, glazed door and light opening to entrance hall. Immediate opening to mid level with half flights of stairs to first and ground floor with attractive oak, stainless steel and glass handrail balustrade features. Radiator. with access hatch to roof space with fitted loft ladder. 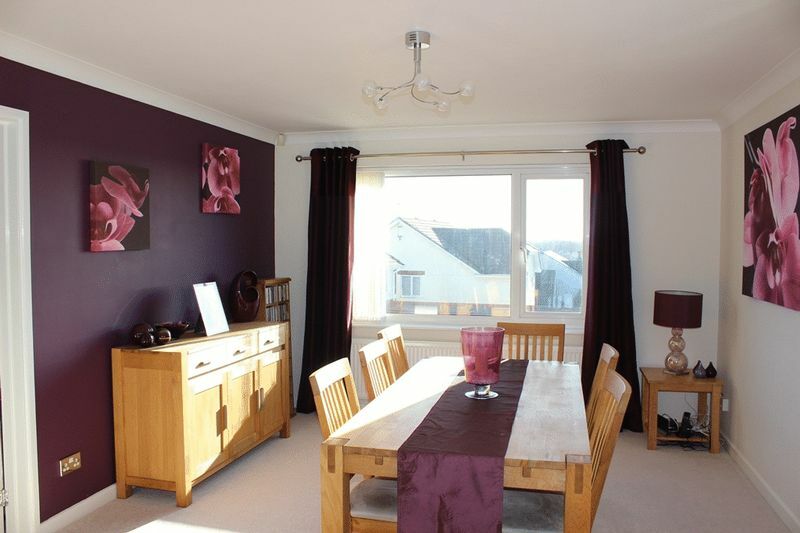 Glazed doors to living room, dining room and kitchen/breakfast room which in turn leads to conservatory. Surprisingly spacious dual aspect living room with feature 'black iron' woodburner set on an impressive granite half stone. 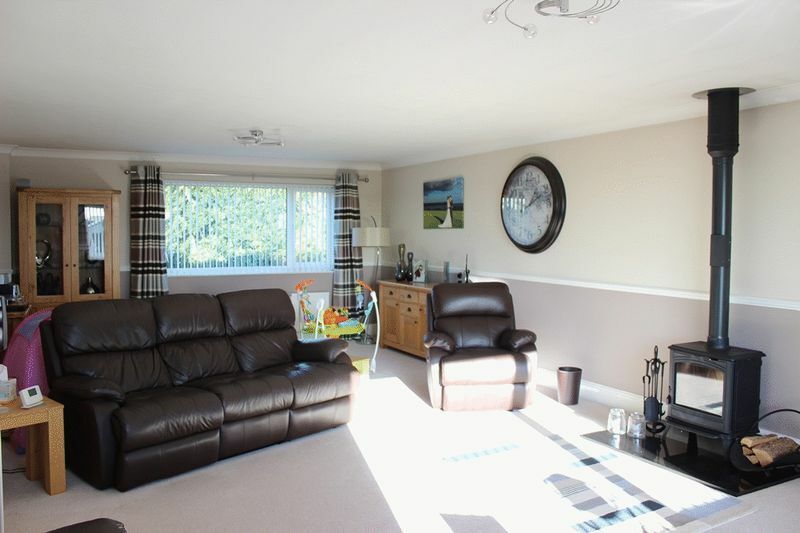 Dual aspect room with picture windows to front and rear enjoying distant glimpse of sea on the horizon. Two radiators. TV aerial socket. Generous additional reception room. Picture window to front with open views, patio doors opening to balcony. Connecting door to kitchen/breakfast room. Radiator. TV aerial point. maximum. 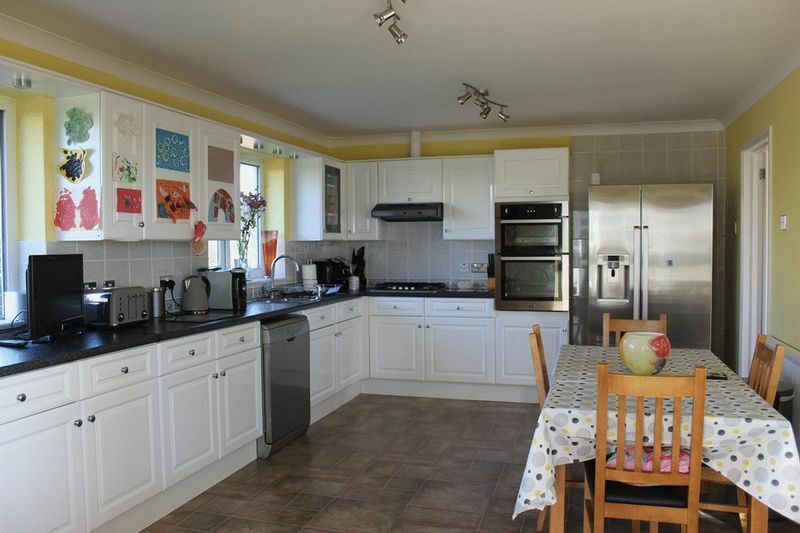 Again large and impressive room fitted with an extensive range of gloss white finished base and wall units providing cupboard and drawer storage, working surface over with part tiled walls adjacent incorporating inset sink unit, eye level double oven, four burner gas hob with hood over. Space and plumbing for dishwasher, further appliance space. 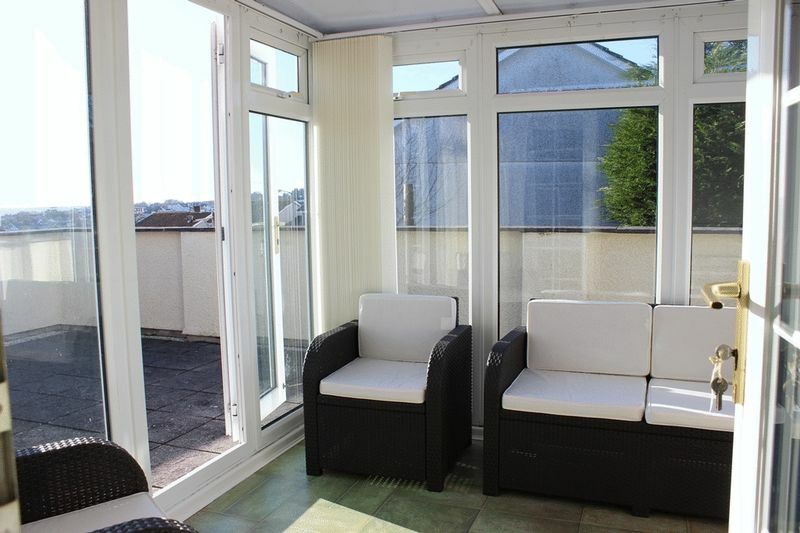 Dual windows to rear, radiator, glazed doors opening to conservatory. TV aerial point. Useful additional room. 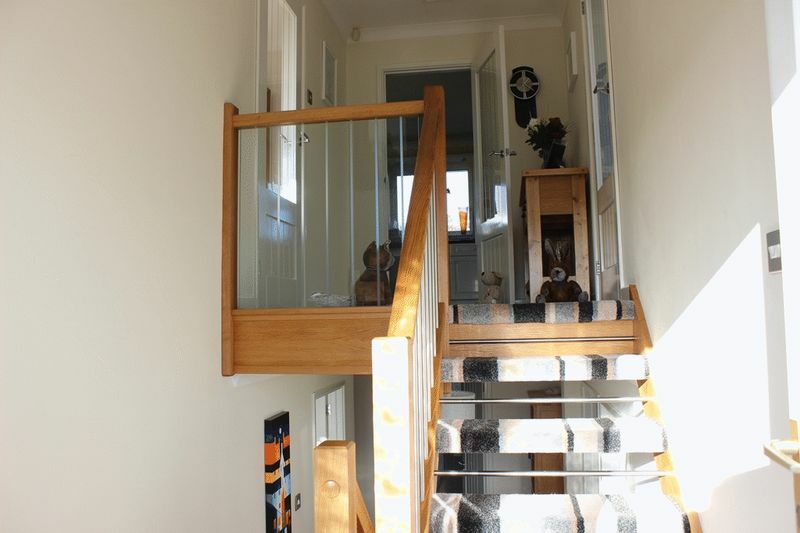 Double glazed construction with French doors opening to balcony. With short flight of external steps leading down to rear garden. 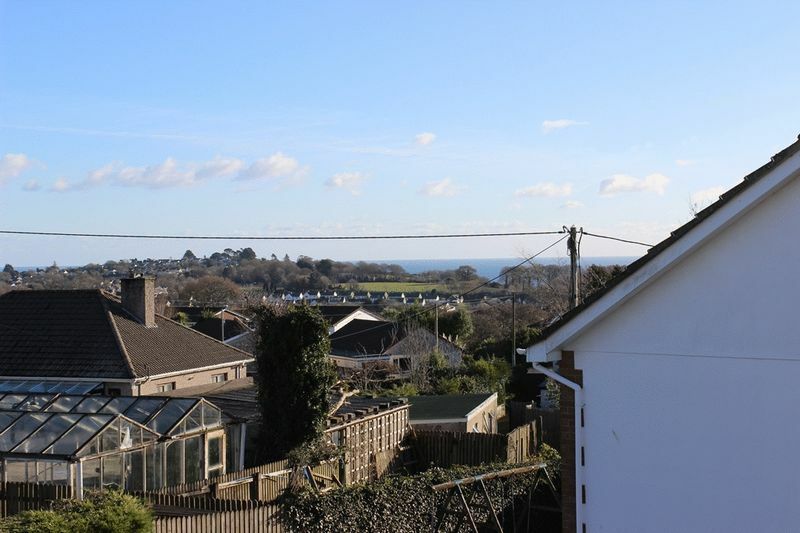 This balcony enjoys a southerly aspect with views towards St Austell with glimpse of headland in the distance. With understairs storage area. 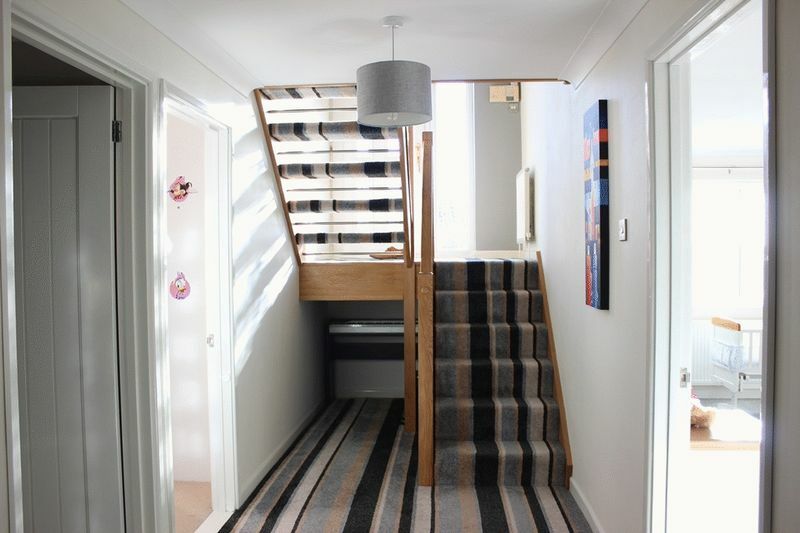 L-shaped hallway with doors off to all four bedrooms, house bathroom and utility room which leads through to garage. L-shaped maximum including ensuite. 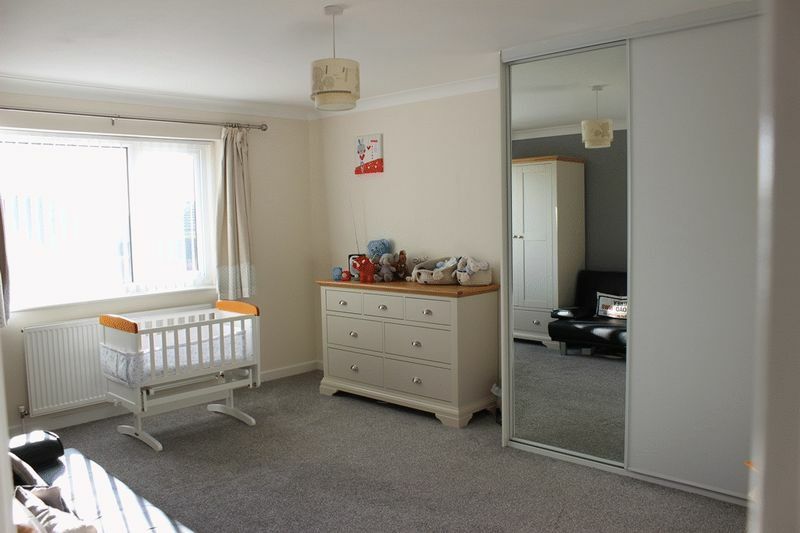 Generous main bedroom with window to rear. Telephone point, TV aerial point, radiator. Door to ensuite. Contemporary white suite with full wall tiling. Panelled bath with shower and glazed screen over. 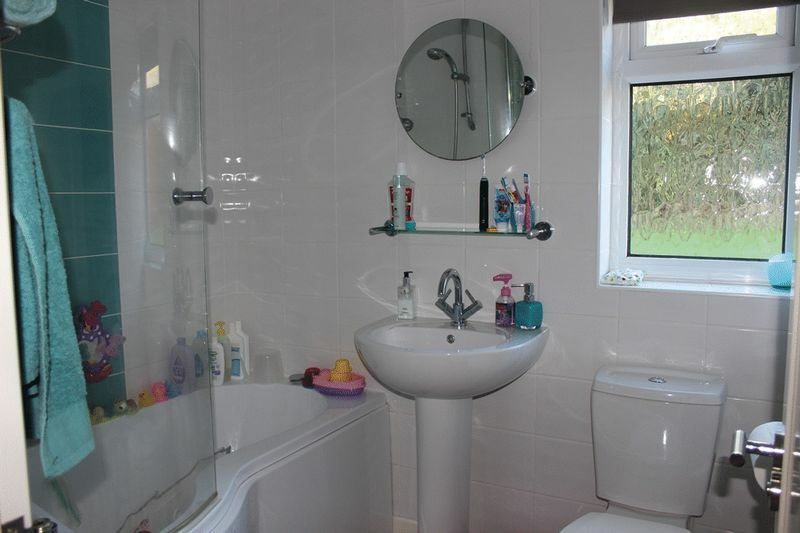 Pedestal wash basin, close coupled w.c. Ladder style towel rail radiator. Extractor fan. Pattern glazed window to rear. Window to front. 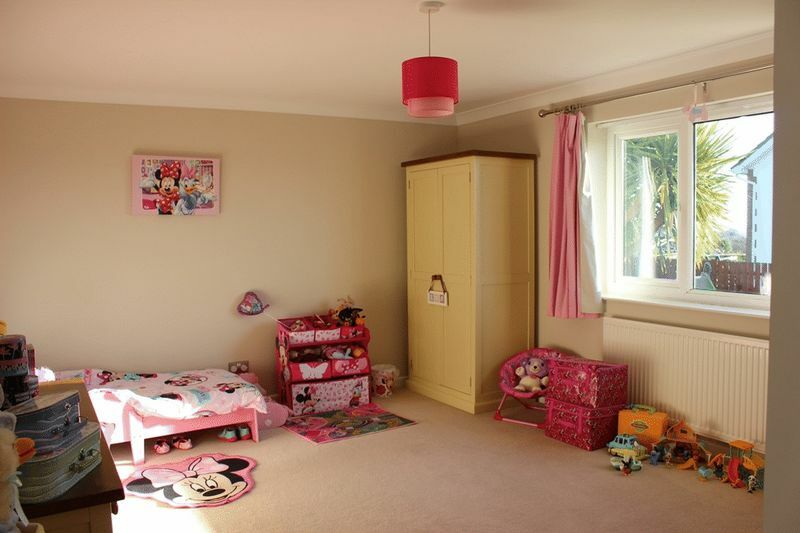 Range of fitted wardrobes. Radiator. TV aerial point. TV aerial point. Window to rear. Radiator. 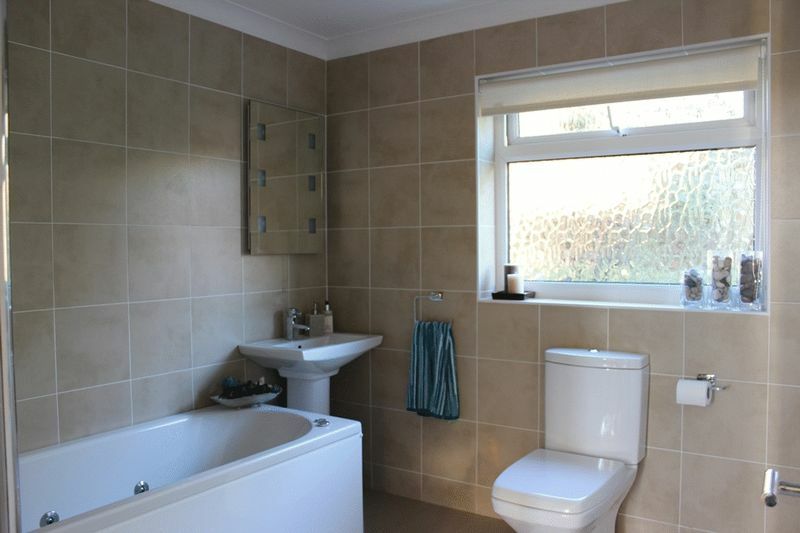 Contemporary white suite comprising fully tiled shower cubicle with glazed screen, panelled spa bath, wash hand basin, close coupled w.c. Full wall tiling. Built in airing cupboard housing combination gas fired boiler. Ladder style towel rail radiator. Extractor fan. Pattern glazed window to rear. Fitted base cupboard with work surface over and inset sink unit. Plumbing for 2 automatic washing machines, further appliance space. Window to rear. Connecting door to garage. Telephone socket. plus workshop recess. Wide up and over vehicular entrance door. Window to rear. Electric light and power connected. Glazed personal door to side. 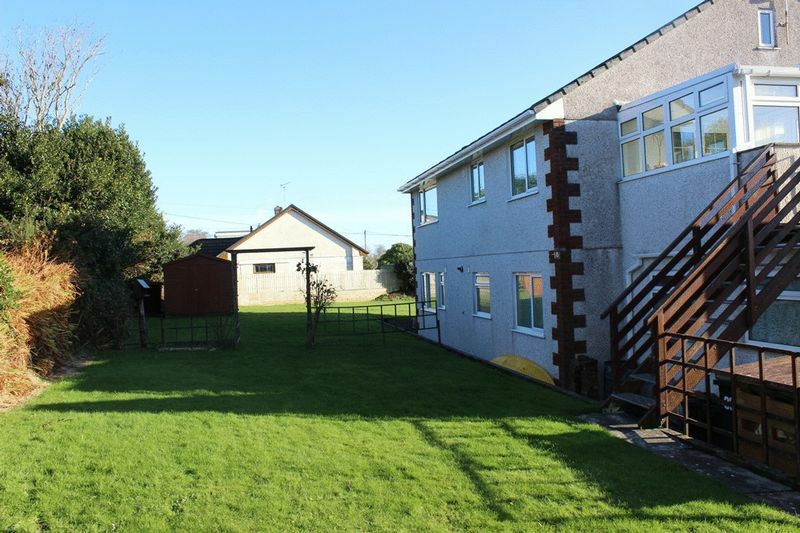 The property occupies a large, south facing setting at the head of a small cul-de-sac. 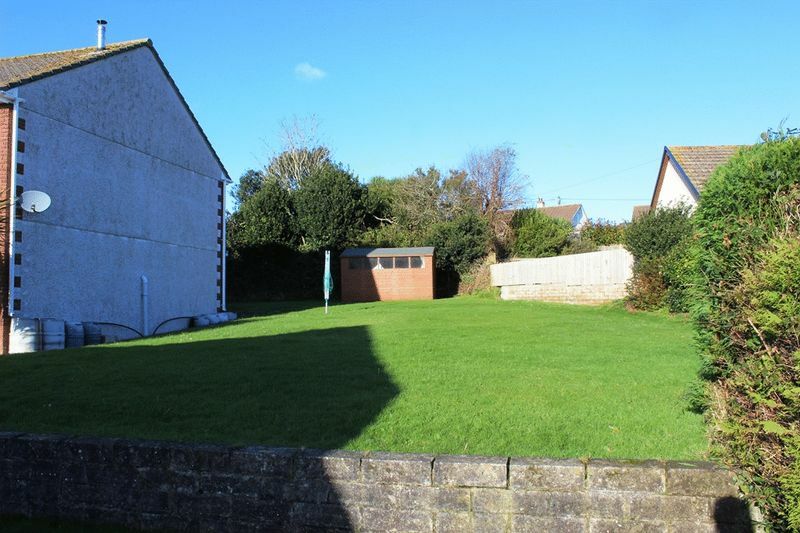 Sweeping brick paved driveway/parking/turning area provides facilities for numerous vehicles and potential boat/caravan storage and gains direct access to the garage/workshop. Gardens surround the property, to the front offering areas of lawn on two levels, fencing and shrubs to boundaries, continuing to side with further large expanse of lawn sweeping around to rear and far side with walling and natural hedging to boundaries. Large timber garden shed. Log store. Garden tap.